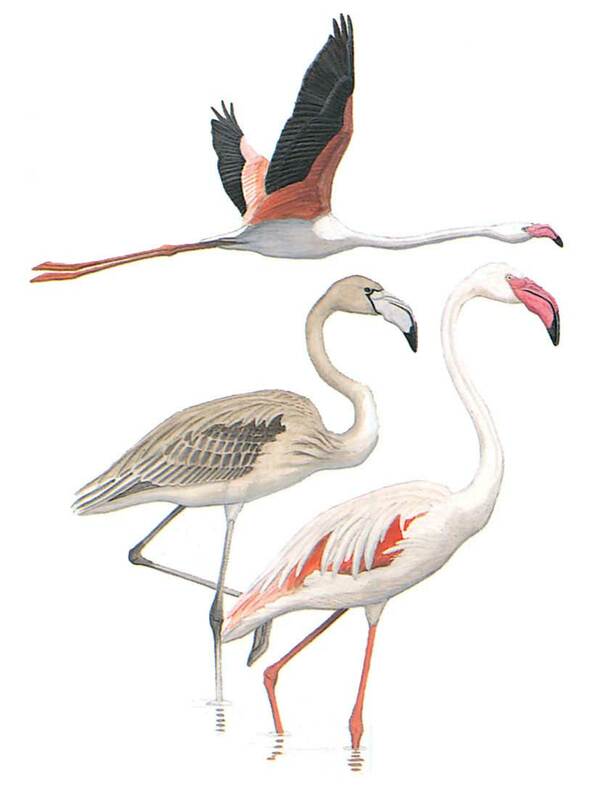 Flamingos are unmistakable large, long-legged, long-necked pinkish wading birds with characteristic bill-shape. The white plumage of the adults gradually acquires a pink hue and red wing-coverts. Juveniles which are smaller than adults, are greyish with brown markings.